I came across this brand while looking for gift options for my friend's new born. None of the usual suspects of cotton lycra, rayon or synthetic in range, White Water Kids (WWK) has an amazing-for-real collection for infants that are made of pure 'GOTS' certified organic cotton. Swaddles, clothes, blankies, pillows, teethers and gift sets, their entire range is made of organic cotton. What really won my heart (and my friend's, too) is the careful thought they had put in while making the clothes. No buttons and no tags simply for the baby's comfort. In fact, the clothes are also made using natural and herbal dyes like those of turmeric and pomegranate. Interestingly, every item in their collection is also built around little children's poems that the 3 ladies behind the brand write. Beautiful inspiration to lullabys and sleep stories, right? Another thing that will make any new parent happy are their rye pillows. Going back to grandmother's old wisdom and nostalgic old roots, WWK has a range of colourful animal-shaped rye pillows that are said to be beneficial for infants. I loved their gift sets (comes in a variety of options) and I can tell my friend loved it too. The gift sets are priced anywhere between INR 3,000 to INR 4,500. 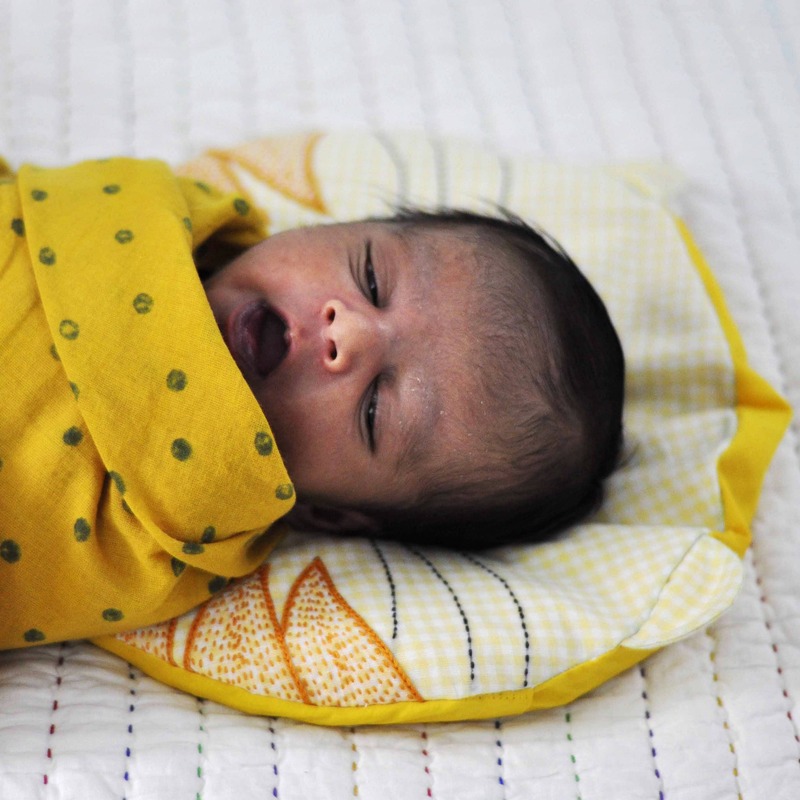 Clothes (a set of top and bottom) start at INR 1,800, swaddles at INR 1,250, pillows at INR 1,500 and cuddles at INR 500. The collection starts at INR 500 onwards.